It feels like we just put CES behind us, yet our sights are set on the next big event. Mobile World Congress is coming, held at the end of February in Barcelona as always. Various companies will be sending out event invites and announcements in the coming days and weeks. Motorola is no exception. We received our graphic and while obviously not detailed as to the specifics of the event, I am sure that most of us can guess what we are going to see there. Just a few days ago, we saw a fellow in Romania attempting to sell a Moto G5 Plus prototype. He listed off some alleged specs that would be great to see in the Moto G-series. He also had some pictures, too. 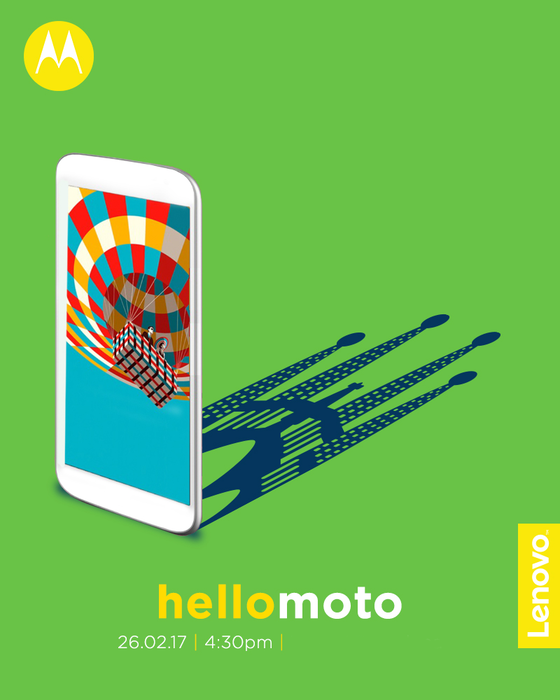 Whether that prototype is the G5 Plus or not, we only have the graphic above to go on. Admittedly, the device in it is pretty generic — I mean, it looks like a Moto device, but that's about it. Regardless, this event is over a month away and we'll just have to see what Motorola has in store for us.